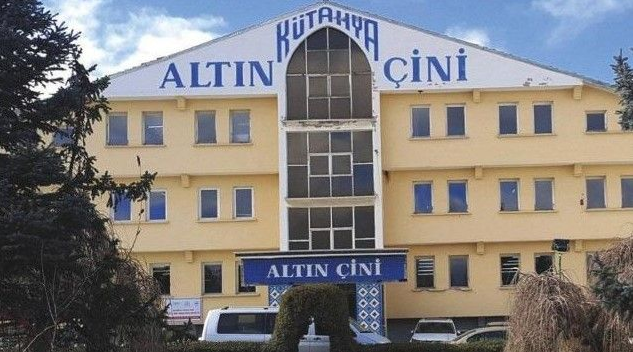 Since 1988, operating in the field of ceramics and tiles, Altın Çini decided to stop production by sending 350 workers to vacation without salary. According to the news published in Sözcü newspaper, the costs of natural gas and electricity, and the economic difficulties of the country caused the factory to make such a decision. The company officials said in a statement "Last year in July we paid 1 million 250 thousand TL natural gas bill in the last month, a million 950 thousand TL in the same month. employees who do not have annual leave of the first stage of their permits, using the charge for later free of charge. statements were given. "In the ceramic sector, our factory producing 500 thousand square meters of wall tiles and floor tiles per month is 2 million square meters of stock, which currently has a production amount of approximately 4 months. in the form of the authorities, by the January 28, 2019 by the ÇİNİGAZ will be cut off the notification of the gas and 4 million 255 thousand TL is required to be cut was announced. The right to terminate the contract of employment and the right to compensation due to the free allocation of the workers themselves by the factory is under the guarantee of Altın Seramik. The Board of Directors has provided assurance on this issue. The government should give more support to an export-producing firm. As of today, we do not have any outstanding or delayed debts and we will be able to pay the Bank installments on time. The workplace is not completely closed for the moment. Because the Tile section continues production. Our company will open its booth at Unıcera İstanbul ceramic fair which will be attended next week and it will return to the production life with new connections from there.